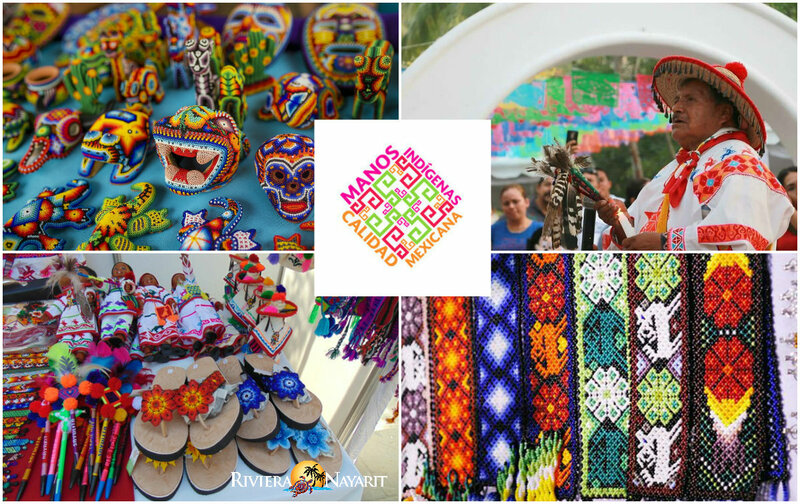 The Riviera Nayarit’s Capital of Culture is hosting the event from November 29th through December 2nd with the participation of 35 wixaritaris artisan groups, traditional medicine men, gastronomy, and music. Nayarit’s artisans are getting ready to present the extraordinary riches of their unique culture during the 3rd Commercial and Cultural Wixárika Huichol People Nayarit 2018, to take place from November 29th through December 2nd in San Francisco (San Pancho), Nayarit. The 2018 edition will be the first to take place in this coastal village, known as the Riviera Nayarit’s Capital of Culture. The previous years’ events were held in Sayulita to great success. The expo is organized by the National Commission for the Development of Indigenous People (CDI) with the support of the Riviera Nayarit Convention and Visitors Bureau (CVB), the Government of the State of Nayarit via its Ministry of Tourism, and the Municipal Government of Bahía de Banderas. One of the main objectives of the event is for the indigenous people to sell their art without intermediaries, and for the producers and the institutions themselves to sell their merchandise directly. 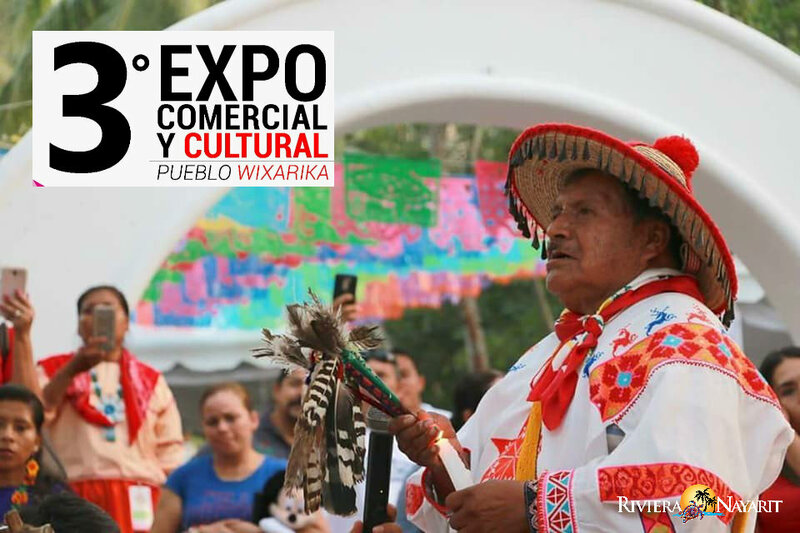 This year, 35 wixaritaris artisan groups participated in the expo, showcasing embroidery, beading, and culinary workshops, among others, within four pavilions: Indigenous Paradise, Culinary, Agroindustrial, and Traditional Medicine. There are four organizations in the Indigenous Paradise Pavilion: Grupo Alternativo Tawexik+A from the Potrero de la Palmita in the municipality of Nayar; Turismo de Naturaleza Aywima from Guadalupe Ocotán, from La Yesca municipality (Low Environmental Impact Tourism as an alternative to auto-development in the Sierra del Nayar); Colorado de la Mora, from the Tepic Municipality; and Kawimanakau, from Zapote de Picachos, from the municipality of Tepic. There are 15 exhibitors in the Culinary Pavilion from three organizations to present tastings of their dishes. Several wixaritaris medicine men are located in the Traditional Medicine Pavilion, among them Marakames (healers, shamans) José Muñoz Evangelista and Nazario de la Cruz, traditional healer Ignacia Lamas Chávez, and César Carrillo Evangelista, medicinal plant specialist. Visitors can also enjoy musicians, folkloric dancers, theater, classical guitar, conferences, and artists both local and from the Wixárika tribe. The expo is open to the public on Thursday, November 29th at 10 a.m. The opening event was held from 5 p.m. to 6 p.m. The Wixárika people have been a part of the Riviera Nayarit brand since its creation 11 years ago; they are an integral part of its identity and are a key asset in the tourism promotion of the destination. Representatives of this community have accompanied the CVB to different cities abroad for important tourism events in cities like Madrid, Berlin, and London; countries like Argentina, Brazil, Canada, and the United States; they have also been present at the Tianguis Turísticos that take place in Mexico. Riviera Nayarit reaffirms its status as an ideal destination for cultural tourism thanks to the many world-class events that take place here with the support of the Government of the State of Nayarit via the Tourism Promotion Trust (Fiprotur).